A simple embrace of a couple who'd just got married. 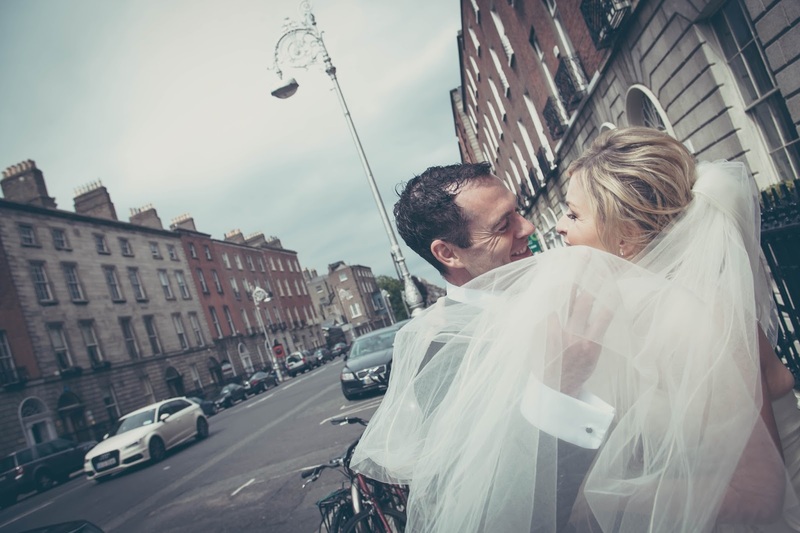 Day light wedding portrait on a busy street of Dublin. Captured just after the wedding ceremony and in front the venue doors. Following one of my favorite photographers: "The magic happens when you, as the photographer, tap into the human experience that we can all relate to, whether it is a mother cradling a child, lovers embracing, or a couple kissing...This is where you once again must rely on your inner feelings of when to push the shutter.." I love this shot because it is looks natural and represents pure happines, covered with the veil.